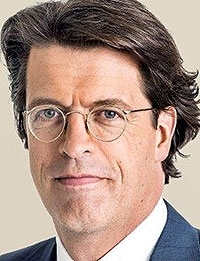 FORT MILL, South Carolina, USA — Despite being the head of a giant German supplier of bearings, clutches, torque converters and transmission systems with an estimated $10.88 billion in automotive parts sales last year, Schaeffler Group CEO Klaus Rosenfeld is no household name in the auto industry. A banker by background, Rosenfeld, 51, came to his position through finance, safely steering the family-owned Schaeffler through complex financial maneuvers during the 2009 financial crisis. He now is guiding Schaeffler through a broad rethinking of its product line. U.S. President Donald Trump also sought Rosenfeld's thoughts this year when he invited the German executive to the White House to talk about the success Schaeffler has had with worker apprenticeship programs at its manufacturing and engineering complex here. Schaeffler is expanding its presence in South Carolina again. What's driving its growth in North America? It's all about the growth of our U.S. customer base. We're seeing new technology, and we need more space. Our capacity was full, and we also needed a modern office building where our people can come together and work in a collaborative environment. What we do here in South Carolina somewhat governs the entire Americas operation, from Canada to Brazil. How much has Schaeffler invested in the U.S.? Not enough. Our customers want to see that we're committing capital to their new technologies, and we are. Technology has always been Schaeffler's chief driver in automotive. We want to outgrow the market by increasing our content-per-vehicle. It's often assumed that a European supplier's fortunes rise with those of its European automaker customers. But that doesn't explain Schaeffler's growth, does it? No, it doesn't. We don't usually talk about our specific customers, but I can assure you that it's not only German automakers. Sixty percent of our revenues are generated by 10 different customers. Our second-largest customer is an American company, and then there are Korean customers. It's a very widespread group. Mercedes recently told its supply base that it wants more parts produced in North America. How do you view that trend? We're globally diverse in how we produce our products and work with customers. In the U.S., we have a localization rate that is already pretty high, although certainly, we are also importing. But you know, serving a global customer base doesn't mean, for example, that you do everything for Ford out of the U.S. We are also doing things for Ford out of Europe, and also out of China because it is global business. Suppliers that serve big global customers today need to be able to follow them around the world. Otherwise, you fall behind and become a regional supplier. What's your forecast for growth globally? We have guidance for 2017 of 4 to 5 percent, currency adjusted. And that is organic growth, built on an assumption that the market will grow. That's a full-company estimate. Automotive will be more in the 6 percent range. By comparison, we believe vehicle production will grow between 1.5 to 2 percent. What do you expect for the U.S.? It will probably stay pretty close to where it was last year. China is growing fast, and we are outgrowing the market in China at the moment. 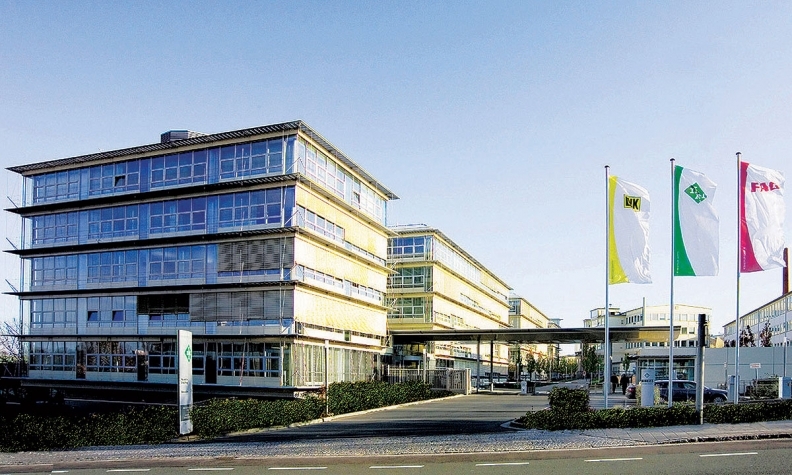 Schaeffler is both an automotive supplier and an industrial supplier. Are there synergies there? Yes. We don't look at the company as purely divisional. We look at it in terms of our core competence. Our factories are not constructed as automotive plants or industrial plants — we have integrated plants. The bearings we produce could go into automotive or into an industrial application. How will the product line change as Schaeffler enters into the world of electrification and autonomous vehicles? We will see significant changes and opportunities to come out of e-mobility. If you are used to combustion engines and producing transmissions and clutches, as we are, you know that in an electric car with a battery-driven powertrain, you don't need those things anymore. To manage this change in a proactive and successful manner, that's our challenge. We believe electrification will come. It's a question of how fast it comes. We've worked very intensively beginning last year to consider the potential scenarios. If e-mobility comes very quickly tomorrow, and all of a sudden everyone begins buying e-cars instead of internal combustion cars, that can be a problem. But that's something that is not very likely, particularly for the United States, given the capital intensity of this business. So the scenario we will prepare for assumes that in 2030, globally, 30 percent of the 120 million vehicles produced in the world could be purely battery-driven. If so, that means that 70 percent of them will use a combustion engine. The question is, how many of them are hybrid? It looks to the outsider that significant disruption is headed your way. But change is nothing new to us. We have great experience with changing our product portfolio with new technology. Schaeffler is expanding its campus in Fort Mill, S.C. “Our capacity was full,” says CEO Klaus Rosenfeld, and Schaeffler seeks a modern office for collaboration. How much change is already occurring? We have a strategic global initiative we call eMobility, and it's running well. We have more than six serious contracts in the United States. EMobility also needs hybrid powertrain solutions. And we are well on track to get these contracts. There are more than 20 r&d projects running on different solutions, and we can already say that the expected lifetime sales from the serious contracts are well above a billion euros ($1.12 billion). Schaeffler has shown in public and on its website for the past few years a technology called the E-Wheel, which proposes to put electric power and control inside the wheels of a vehicle. How serious of a business concept is that? It is a fascinating product, although we don't have a contract for it. Customers like it. It's not ready to go, in terms of any sort of mass production yet. But it could be very attractive for a smaller car where you could free up room by putting motors in the wheels. Is there commercial potential for it? We develop technologies and try to bring them to perfection. So that's where we are at the moment, with a lot of customers interested in it. No, it's not going to be out tomorrow. Do you have a team of engineers working on it? Absolutely. It's not an idea that's just sitting there. It's a project. Something like this needs a holistic solution, and we are in a position to do it. I would point out that we are now coming to market with dampers that we first began working on in 1988. There came a day when customers really needed them, and we had them ready. How much of Schaeffler's revenue do you steer toward r&d these days? We're increasing our r&d at the moment, which is an area of spending that is not lost. Our ratio was always from 5 to 6 percent [of revenues], and it's now going to about 6 percent. It will go even further. But the true ratio is much higher, because the industrial side of our business is not r&d intensive. The Schaeffler family is also the largest shareholder in Continental AG. Are there areas of business that Schaeffler and Continental will be working on together? I can say that we have gone through quite some turns on this discussion. We're cooperating on a project-by-project basis in certain areas, but we also are competing in certain areas. And when we're competing, we can't cooperate. I believe that's the right way. What matters most is whether the customer is being served. There is definitely potential to do more. But the rule at the moment is project by project. Do you participate in the management of Continental? I am a supervisory board member, but I'm not participating in the management. It's a separate company. The stakes of the companies are held by a Schaeffler family holding company, which owns 46 percent of Continental and 75 percent of Schaeffler. But Schaeffler has no participation in Continental directly. We did originally, but we separated, and that has helped us. Many large suppliers are uniting to solve new technology challenges for autonomous driving. Will Schaeffler and Continental? No, that's not our thinking now. Don't forget that Conti is much bigger than we are and has a completely different product portfolio. There are some overlap and potential in the powertrain area. But there are no plans to talk about any cooperation. We're happy with what we have. Schaeffler has its hands full with demands from its customers. The demand we're seeing for additional r&d for technology projects is much bigger than we anticipated, and it has increased in the past few years. Schaeffler rarely gets into the public limelight. In fact, of all the investments and expansions Schaeffler has had in South Carolina, it's never held a grand opening — until now. Is this a sign that we're going to hear a little more about Schaeffler? You know, Schaeffler is a family business, and we focus on the things that we can do best. We're a company of engineers. We don't want to be in the bright lights. We have a culture of no-nonsense, best-in-class quality. You know — just keep your eyes on the road and your hands upon the wheel. We just want to deliver properly and be humble. So it's good that we've had this opening here, but it shouldn't distract us from our business at the end of the day.